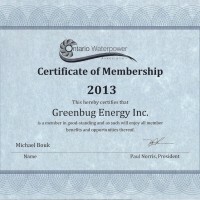 Our partners are hands-on champions of GreenBug Energy - our advisors, suppliers, research partners and friends have shown exceptional quality in their work and commitment to our goals. 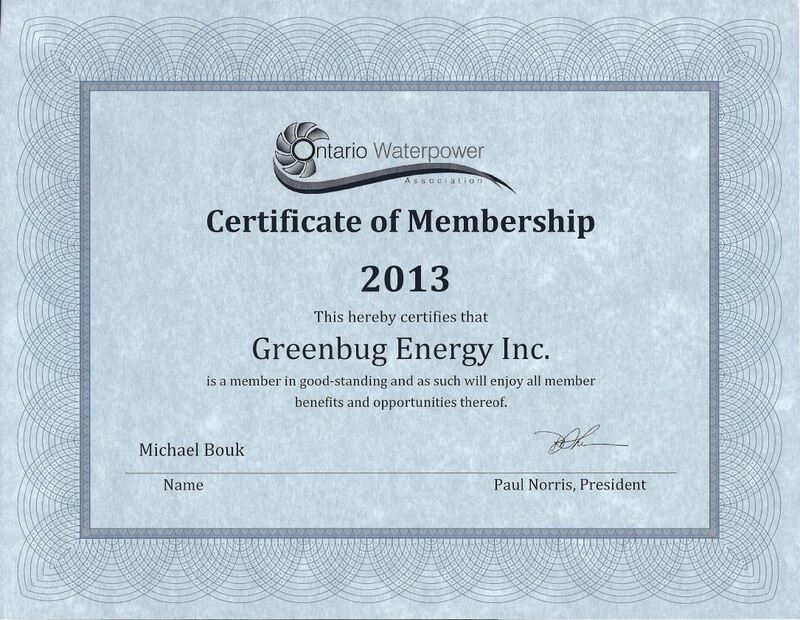 GreenBug Energy is enhancing its’ impact around the world. Changing the world is not a one person task. Together with the vision and dedication of these GreenBug Energy partners, we are trying to realize our dreams of changing the world. Natural Sciences and Engineering Research Council of Canada (NSERC) – www.nserc-crsng.gc.ca NSERC researchers are on the vanguard of science, building on Canada’s long tradition of scientific excellence. National Research Council Canada – Industrial Research Assistance Program (NRC-IRAP) http://www.nrc-cnrc.gc.ca The National Research Council (NRC) is the Government of Canada’s premier organization for research and development. 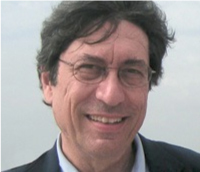 Dr. William David Lubitz – Associate Professor, Environmental Engineering, University of Guelph, School of Engineering. Dr. Bahram Gharabaghi – Associate Professor of Engineering, University of Guelph, School of Engineering. Graham Taylor – Assistant Professor, Engineering Systems & Computing, School of Engineering, University of Guelph. Dr. Amirnaser Yazdani – Adjunct Professor, at the Department of Electrical and Computer Engineering, University of Western Ontario, and an Associate Professor with Ryerson University, Toronto, Canada. Dr. Chris Rorres – Lecturer in Epidemiology (University of Pennsylvania, Kennett Square, USA) and Professor Emeritus of Mathematics (Drexel University, Philadelphia, USA). Ontario Laser Cutting – Ontario Laser Cutting located in Tillsonburg, Ontario has been GreenBug Energy’s laser cut profiles supplier from the beginning and produces exceptional quality parts to meet Greenbug’s production needs within the timeframes required. Thank you Ontario Laser Cutting! Amundsen Davis Marketing – Amundsen Davis Marketing has been supportive of our new venture from the beginning and has listened to our plans and provided the advice and attention to detail that small companies normally don’t get but that makes the difference in achieving our goals. Thank you Amundsen Davis Marketing!